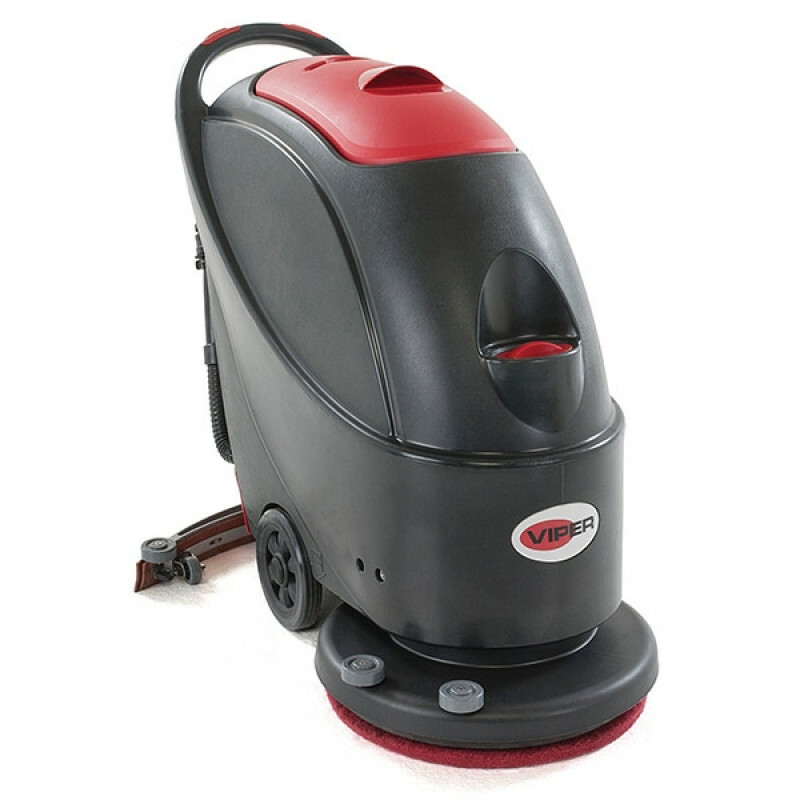 The Viper AS430C™ auto scrubber incorporates a convenient 65 foot yellow safety power cord and a 17 inch wide cleaning path to allow you to clean with the maneuverability that you need. This compact floor scrubber comes with a nylon brush and is manufactured with a heavy-duty cast aluminum chassis that was designed to withstand heavy daily use in commercial applications. It also comes with a rounded squeegee assembly which picks up your solution to allow for easy one-pass cleaning. Not only does this machine have an impressive cleaning rate of 12,739 square feet per hour, which is up to 5 times faster than traditional mop and bucket systems, but it also has an unlimited run time. You never have to worry about batteries being charged with this machine! Simply plug it in, fill it up, and start cleaning. All-in-all, the Viper AS430C auto scrubber offers one of the best values for a small scrubber in the industry. Ships for free to any commercial or residential address in the continental United States. Not sure if this is the right auto scrubber for you? 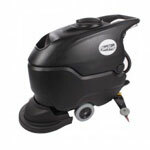 Please feel free to take a look at our full line of Viper auto scrubbers. Compact design, simple to maneuver in tight areas. Disc and vacuum motors protected from water splash of solution and recovery tanks. Heavy-duty cast aluminum squeegee assembly. Engineered to withstand heavy daily use in commercial applications including schools, office buildings and medical facilities. Rounded squeegee for quick and complete solution pick-up allows for one-pass cleaning industry.